As we move from casual outdoor summer barbecues to more formal indoor meals and gatherings, we thought we would round up our five best tips for entertaining with ease. 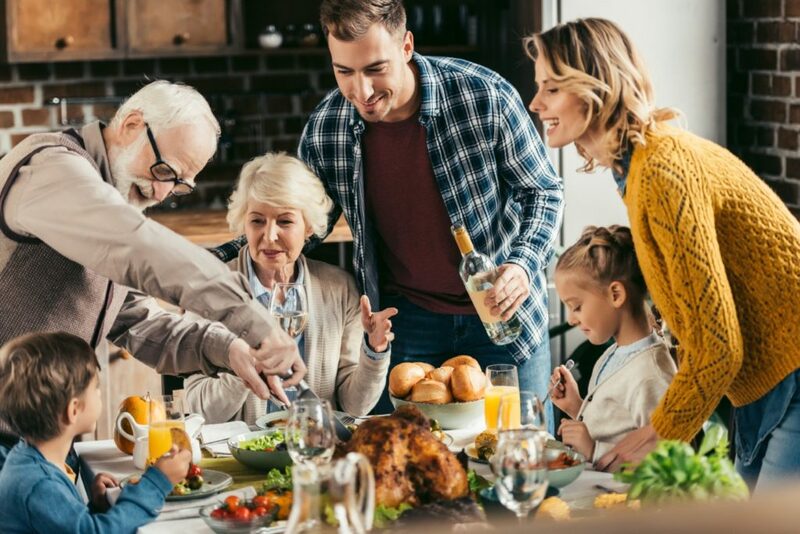 Don’t worry about the perfect Pinterest worthy table, work with what you’ve got – you will certainly amaze yourself and maybe even start a new family tradition. Grab your dishes, cutlery, napkins, and tablecloth and go wild from there. 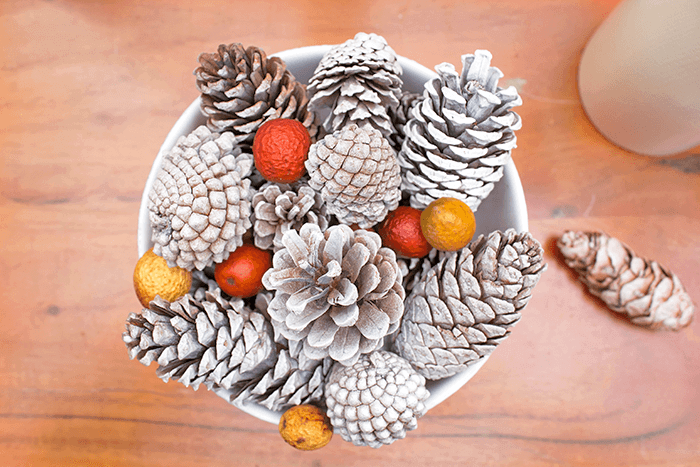 Get your kids involved by finding pinecones they can paint, or if you are feeling crafty yourself find some pretty branches on a walk that you can spray paint gold. Some twinkle lights or candles set the mood and your table speaks with personality and you worked with what you’ve got. We love this idea from blogger A Pretty Fix. We’ve talked before about our love of the ‘accent’ chair and entertaining is really where these bad boys come in handy and make entertaining for a crowd easy-peasy. Go around the house and gather up all your unique accent chairs and use them in the living room for a lap only dinner party or around the dining room table for an eclectic (and practical!) seating solution. Reserve your armchairs for ‘heads’ of the table where you have a bit more room. 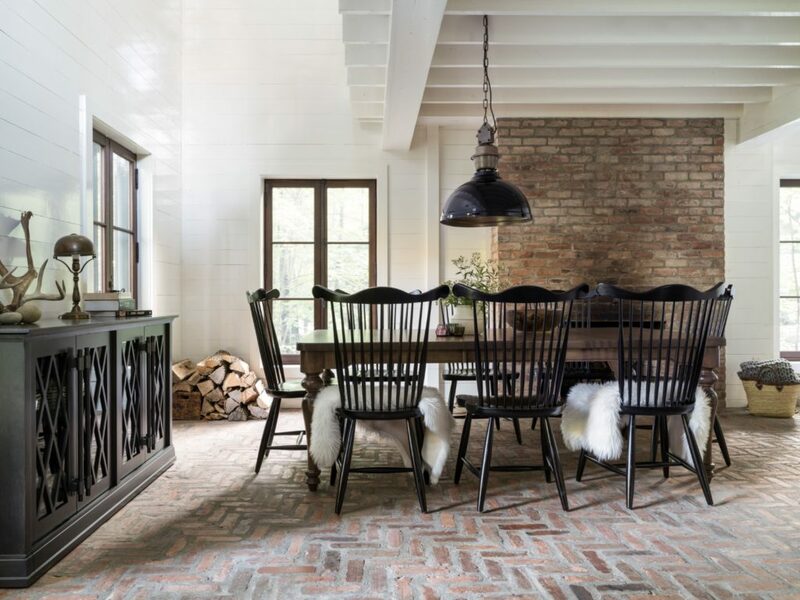 Check out our post How To Mix and Match Dining Room Chairs. There are so many amazing table extension options out there today. When a table can go from seating six to sixteen I call that entertaining with ease. A small round table, perfect for your everyday family needs, can now become awesomely oblong and welcome extended family. Some tables now feature simple storage for their extensions, making this even easier! Take a seat at the table after you’ve got it all gussied up. Can you see clearly across the table? Do you have enough room for water pitchers or wine bottles? Do you have everything each seat needs within easy reach (cutlery, napkin, glasses)? Know that no matter what you do, no matter how perfect the table is, or how delicious the food is, there will be spills. There may be tears, but there will most certainly be laughter. Embrace the chaos of hosting during the long Fall and Winter months and know it will be summer again soon and the mess can land on the lawn once again. Buying a new dining room table set before company comes? Check out our post on things to consider when buying a new dining room set 6 Things to Consider When Buying a Dining Room Set.